I never understood the appeal of local honey versus store-bought honey until I picked some up from our local farmer’s market last summer. Before that, it was just more expensive honey and since I rarely used it for anything other than baking where its flavor wouldn’t shine through, I didn’t see the need to spend more money. And then I tried the local honey. Oh. There’s a huge difference and I totally understood why people paid more money for a local honey. The theme for this month’s Fantastical Food Fight is honey. Fantastical Food Fight is a blogging event hosted by Sarah of Fantastical Sharing of Recipes. A theme is picked for each month and bloggers can make a recipe from a cookbook, something they found online or create their own using the themed ingredient and it’s all shared on the same day (today) and linked up. I wanted a recipe where the honey flavor would shine through and it’s mildness wouldn’t get lost when mixed in with other flavors. Cupcakes seemed like the perfect vessel for that. 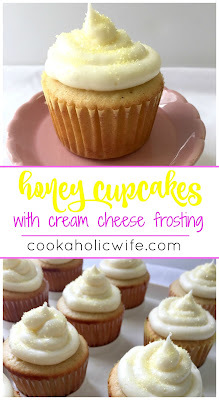 These Honey Cupcakes are light and sweet and topped with a cream cheese frosting. 1. Preheat the oven to 350 degrees. Line a cupcake pan with paper cupcake liners. 2. In a medium bowl whisk together the flour, baking powder and salt. Set aside. 3. In another medium bowl, whisk together the buttermilk, honey and vanilla paste. Set aside. 4. In the bowl of your stand mixer with the paddle attachment, beat the butter and sugar on medium speed until light and fluffy. Add in the eggs, one at a time. 5. Alternate adding the flour mixture and the buttermilk mixture to your stand mixer, starting and ending with the flour mixture until fully combined. 6. Fill each cupcake liner ⅔ of the way full. 7. Bake for 18-20 minutes or until lightly golden and a toothpick in the center comes out clean. Transfer cupcakes to a wire rack to continue cooling. 8. 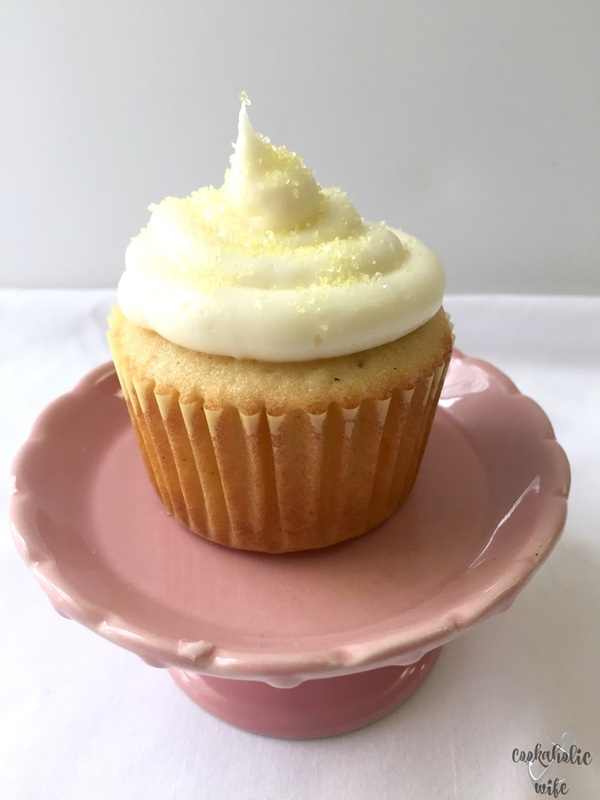 Prepare the frosting by adding the butter and cream cheese to the bowl of your stand mixer and beating on medium speed with the paddle attachment until fully combined. 9. Add the honey and slowly add in the powdered sugar, ½ cup at a time until fully combined. Add in the salt. 9. 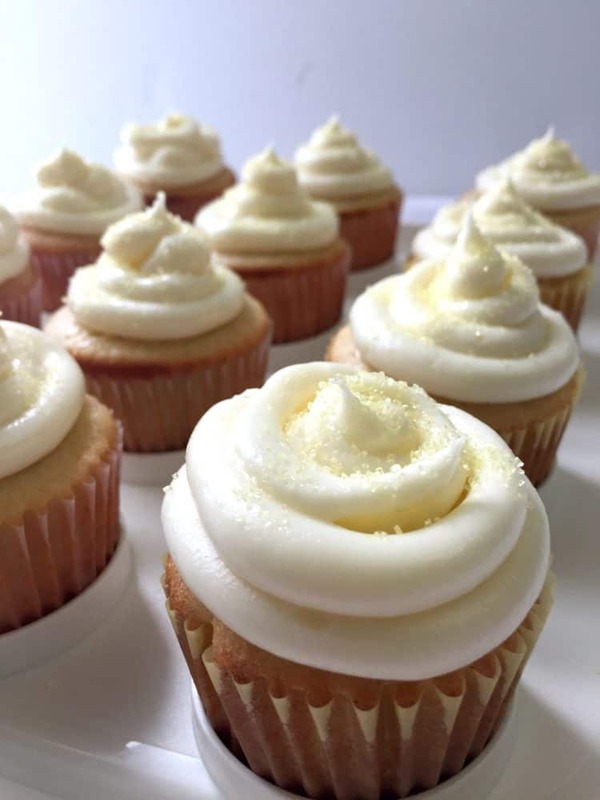 If the frosting is too sweet, add a little more salt. If it is too thick, add a splash of milk until it is at the consistency you want. 10. Transfer the frosting to a piping bag and pipe frosting onto the cooled cupcakes. Light and sweet, these cupcakes are the perfect use for some local honey! These cupcakes look so good! A perfect way to showcase local honey. These cupcakes look adorable!! I want to try them right now! YUM! Local honey is definitely not something to miss out on! I have recently figured that out too 🙂 These cupcakes look super tasty. You had me at "cupcakes" 😀 I've never thought to do a honey flavor for the cake… MUST TRY!! 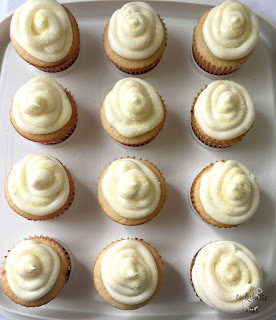 Cupcakes with cream cheese frosting I want it now! They look so rich and fantastic! You have me so intrigued by local honey! Your frosting is gorgeous. These are so sweet (looking) and I bet delicious too!